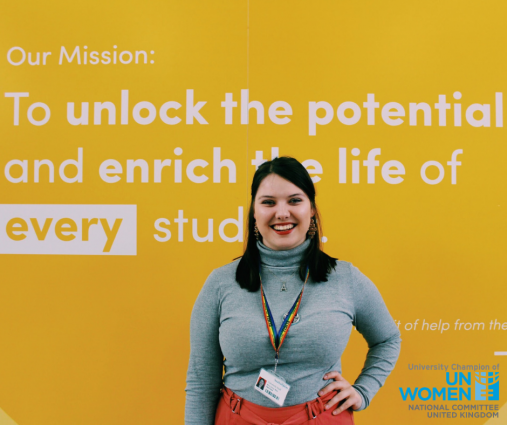 UN Women UK approached VP Communities, Emily about the new University Champions Network and asked her to be a part of it. The network aims to bring representatives from UK universities together to work on projects to further gender equality both in our own institutions and nationally. This includes things like their HeForShe campaign which is a solidarity campaign for the advancement of gender equality, initiated by UN. Its goal is to achieve equality by encouraging all genders to partake as agents of change and take action against negative stereotypes and behaviours. UN Women UK recognises the important part young people play in making social change and is, therefore, bringing us together to unify our voices for a more powerful impact. Find out more about UN Women UK by clicking here.